L.A.M.P. Media is a production co-founded by filmmakers Megin Boyles and Andrew Poppoon. Together they have 25+ years of industry experience in Austin, San Antonio and New York City. Their services include photography, videography, location scouting, and full service: film, commercial and TV production. The company's main focus is to gain new clients for new scripted and non-scripted creative content. L.A.M.P. Media LLC is in post-production on the short film Powder Strike, in production on a documentary film focusing on a local San Antonio subject who fought in WWII, and developing a non-scripted sports themed show with a Basketball Hall of Fame host. 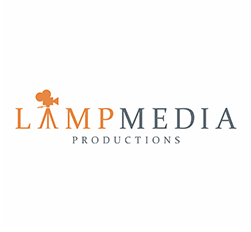 In addition to the tv and film production, L.A.M.P. Media Photography is available for headshots, portraits and branding shoots. The company has made strides to set roots in Texas and be an active member of the local film community. Andrew is the Vice President of the San Antonio Film Society. L.A.M.P. Media proudly holds a board seat with the San Antonio Film Society, is a member of the Texas Motion Picture Alliance, a Partner at Alamo City Studios and hires local film students for internships. Their goal is to bring new projects to San Antonio and help to enhance the film community.